A great place that’s open to locals! It’s a bit of a drive from Exeter but more than worth it. 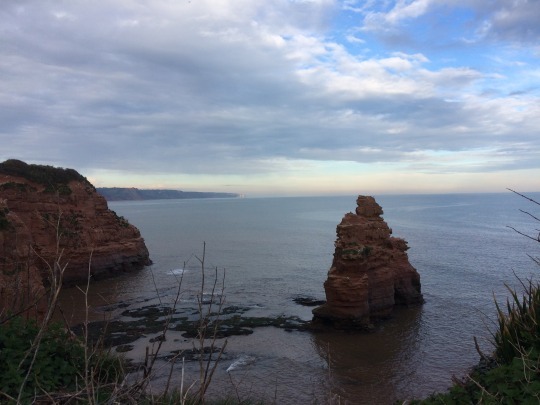 Located just outside the East Devon village of Otterton, Ladram has it’s own shingle beach and a host of activities and facilities. You have to pay to park/enter but can then visit the beach, amazing play areas and soft play space for free. The newly refurbished swimming complex is absolutely brilliant for all ages. The changing rooms are spacious and clean with good showers, shelves for outdoor shoes and room to park pushchairs. There are individual cubicles and central benches making getting young children ready fairly easy, and lockers available for valuables. In addition to the main pool, there is a ‘bubble lounger’ area and a fantastic interactive pool for small children. The channels, jets, mirrors and waterfalls kept mine happy for ages and the water is so warm you’re happy for them to take time to play. There are also 2 water slides with their own splash pool that are small enough to be manageable for preschoolers but big enough to be exciting for older ones. There is an after-school half price deal in term time that’s terrific value but paying full price is definitely still worth it at other times. There is a cafe area in the swimming complex, or a pub and a restaurant next door. there’s also a takeaway selling fish and chips and loads of picnic benches to bring your own. 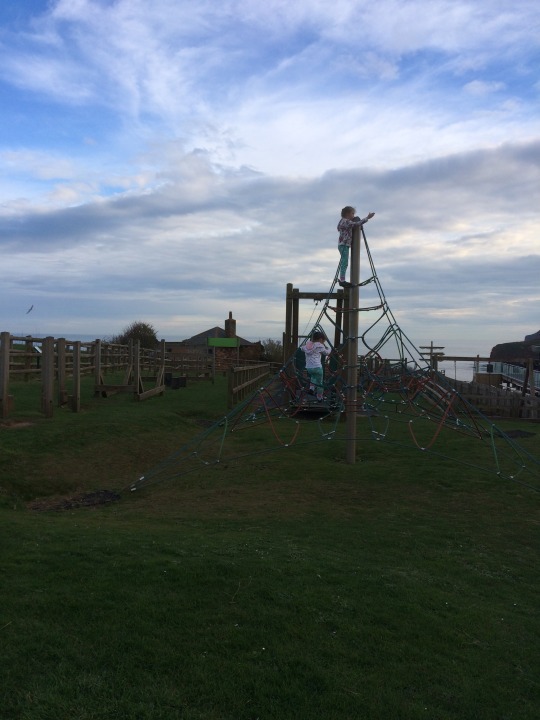 There is a small soft play area for the under-5′s and extensive outdoor play equipment with something for all ages. 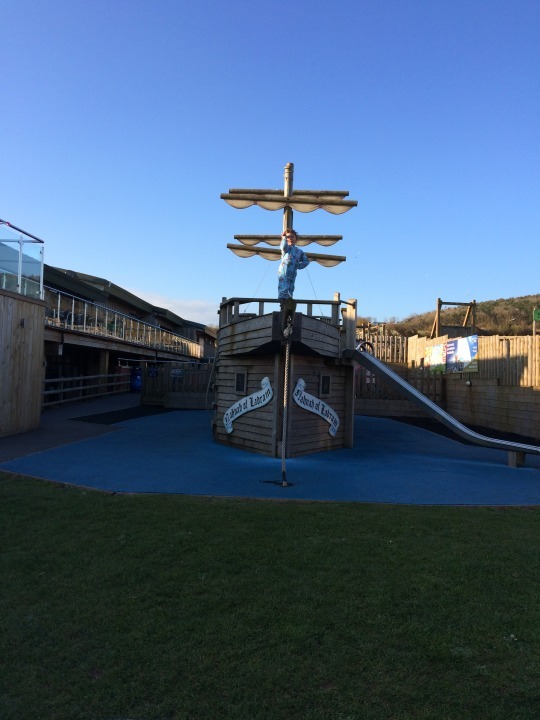 The pirate ship was especially popular during our visit! 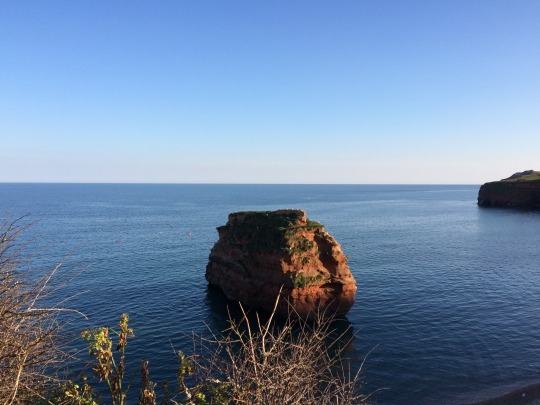 You can stay all day once you’ve paid to park – you can walk along the cliff, play on the beach, pay to play adventure golf, or sit and enjoy the views. If you have a dog they are not allowed on the beach but there is a dog walking field. Heading back through Otterton you can stop at the Mill and visit the cafe or have a walk along the river before heading home.